and below is the list of online retailers where you can order A Tangled Web at any time. Here are 3 great reviews for A Long Ways from Home, the new Sgt. Windflower Mystery. The first from the well-respected mystery review website Reviewing the Evidence. The second, a unique and funny review from Harold Walters of Book Remarks in the Clarenville Packet newspaper. Finally, one from the Miramichi Reader, the source for great book reviews from Atlantic Canada. Enter to win a copy of the new Sgt. Windflower Mystery: A Long Ways from Home. 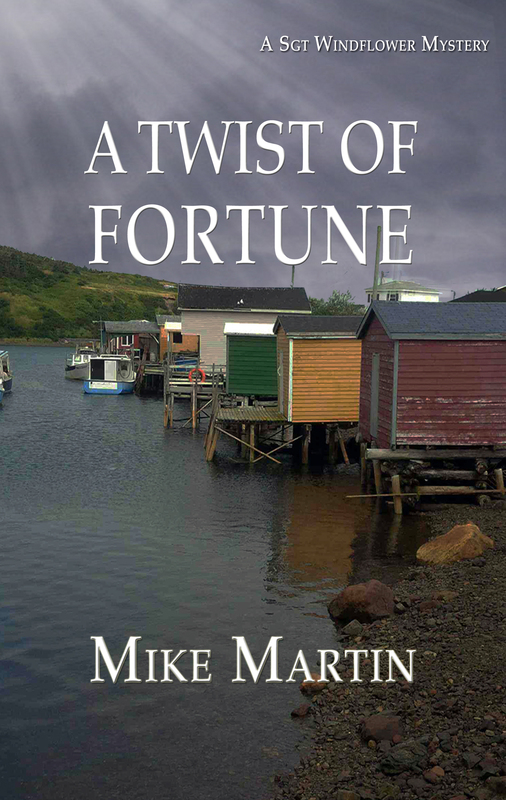 Set in beautiful Newfoundland at the eastern tip of Canada. 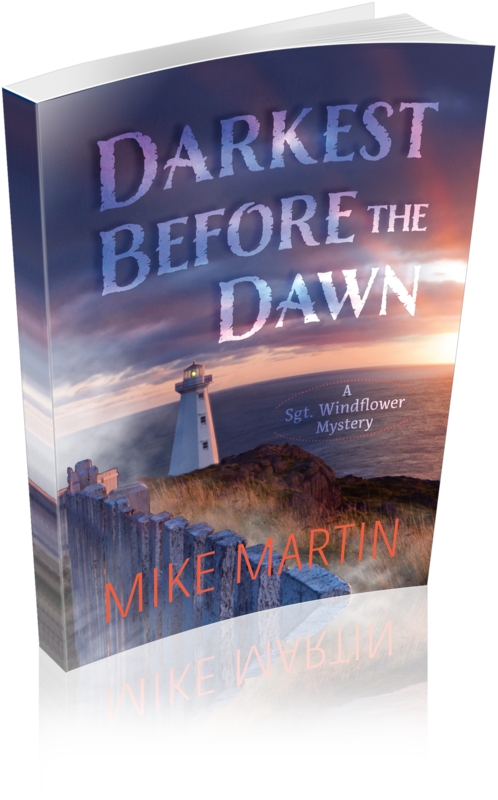 Cool, cozy, Canadian crime fiction. Giveaway opens on Nov 1, 2016. Books are now available in Chapters/Coles/Indigo across Canada. Locations coming soon. If your local store doesn’t have A Long Ways from Home in stock, ask them to order some copies. Or you can order any Sgt. Windflower Mystery online and get the book shipped right to your house. You can also ask your local library to order some copies as well. Many of the bigger libraries have already ordered copies, but you can ask your local branch and they will bring in a copy for you. Sometimes writing feels like a task, a chore that I have to do. It feels like work. That’s not always a bad thing when you are a freelance writer. It’s good to work if you like to eat. But when my creative or fiction writing starts to feel like work, I remind myself of some of the joys of writing. First of all, I get to let my imagination run wild. Not that wild!! But free, that’s a better word for it. I get to create imaginary characters in an imaginary world and invite people to come visit. I make up imaginary friends and they become other people’s friends as well. That’s pretty cool. When I meet people who have read some of the Sgt. Windflower Mysteries they often talk to me about the characters they like, as if they were real. That’s because to them, and certainly to me, they are real. Secondly, I get to see some of my innermost thoughts displayed in public on bookstore shelves and in public libraries. People actually pay money or walk to the library to check out what I have written. The sheer pleasure of seeing your book on the shelf between Margaret Maron and Peter May is pretty awesome. But to see someone walking out of the library with their book under their arm is a gift that no money or fame could buy. It cannot help but make you feel a little humble and a whole lot grateful. Thirdly, people don’t just take your books into their homes, they take them into their lives. I’ve had many people write or tell me how much they enjoyed the last book or how much they are looking forward to the next Sgt. Windflower Mystery. Others have told me that they felt calm and relaxed when they were reading the stories, as if they were walking along beside Windflower and his partner Sheila. Or imagining the meals that they were eating and even trying out some for themselves. Just recently I got a message from a reader who told me the sad news of her mother’s passing. She was not looking forward to the next few days and saying goodbye, but she had the new Windflower book, and said that at least would give her something pleasant to look forward to when those hard days were over. And last year I got a phone call from a reader on the east coast who called to tell me how much she liked the series and that she had shared the books with a friend who was suffering from cancer. That friend had to go through the misery of chemotherapy, but before they went they would read a few chapters from one of my books. That relaxed them enough to go through the pain and come through to the other side.